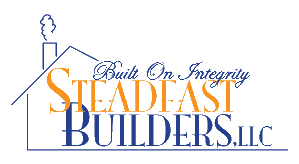 Steadfast Builders LLC. is a diversified company capable of meeting all of your contracting needs. Established in 2006 by the joint effort of Keith Espeland and Lowell Poland, Steadfast Builders LLC. has quickly grown by word of mouth. Steadfast Builders LLC. has developed a reputation for qualityork and great customer service. Expanding from residential remodels and new construction to commercial build outs and concrete paving. Steadfast Builders LLC. guarantees to make your next project one you will be proud of.